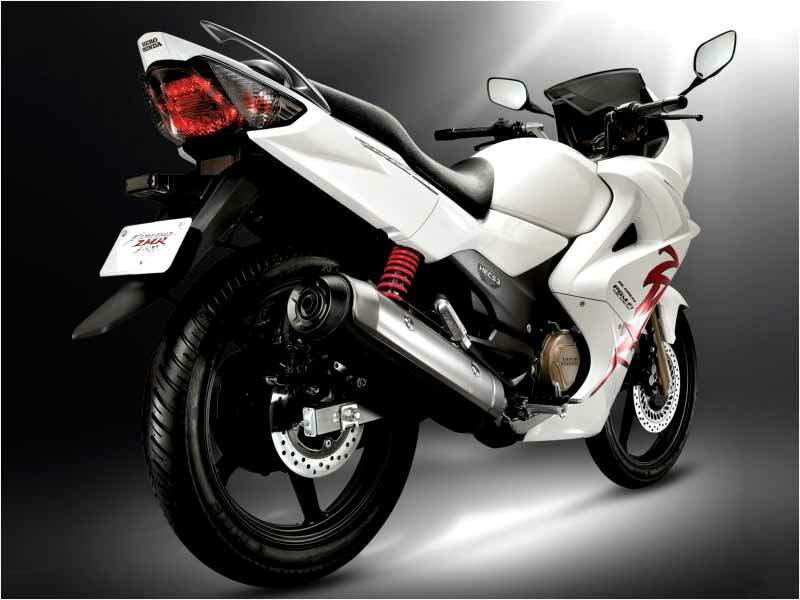 New Hero Honda Karizma ZMR Fi is a full fairing bike with top notch paint quality and ultimate comfort. Read the review to get the features, technical specifications & price. In a move to give tough competition to Bajaj and Yamaha, Hero Honda has launched the latest version of Karizma R to pit against its rivals, Bajaj Pulsar 220 DTSi and Yamaha YZF-R 15. With the clever observation and evaluation, Hero Honda has plugged in the loopholes and the New Karizma ZMR is equipped with Programmed Fuel Injection and oil cooled engine. The New Karizma ZMR is loaded with a 225cc engine, which comes with a premium over the Pulsar 220 and it is fitted with digital ignition system. Additionally it also gets disc brake at the rear, gas charged rear shock absorbers, piffling increase in power and torque. This new bike is all set to redefine the biking culture in its segment setting the adrenaline rush of young bike aficionados on high ride. The bike is expected to be a strong contender against the Pulsar 220 DTSi, YZF-R 15 and Apache. New Karizma ZMR Fi will be sold along with old Karizma model and Hero Honda has decided not to phase out Karizma R and sell both the models side by side. New Karizma ZMR Fi is powered by the same 223cc engine but now it gets fuel injection with the increase in maximum power to 17.6 Bhp at 7000 rpm which comes with an increase by 0.6 Bhp and maximum torque has been increased by .15 Nm which now stands at 18.35 Nm @ 6000 rpm. As Hero Honda claims, the bike can hit a top speed of 126 kmph and 0-6 km in 3.7 seconds which is still slower than the current fastest bike Pulsar 220, able to gain a top speed of 144 kmph. The PGM-Fi system is equipped with a 12 hole fuel injector, 16 bit ECU and 6 high-tech sensors to scan the engine operating parameters like air pressure, air temperature, and engine temperature for the optimum air / fuel ratio under dynamic conditions. An advanced vertical oil cooler provides efficient cooling to the high performance engine and the IACV (Idle air control valve) ensures idle stability and regulates throttle changes. The New Karizma now looks heavy as it has got front full fairing. It has been touched up with a riot of jazzy graphics with the ZMR stickers. It now comes with the brand new headlamps with integrated blinkers and new tail lamps which are LED ones. The Instrument cluster is the attention grabber in Karizma ZMR. The display now goes full digital including the tachometer designed in round shape under a horizontal digital display which looks very cool especially at night. The display also shows real time fuel consumption which proves very useful in maintaining good mileage. Other aspects include the speedometer, trip meter, fuel indicator, clock and rev counter. The switchgear remains the same and, in typical Hero Honda style, there is no engine kill switch. The instrument cluster features dual colour illumination - the tachometer is lit in white while the rest gets an orange backlight. The split clip on handle bars, new rear mud guard and the split grab rails are the contemporary welcome features. New Karizma Fi is well made with no panel gaps and top notch paint quality and finish. It now gets a very aggressive look enhanced by the rear view mirrors mounted on the front fairing. But when viewed from the side, the heavy front is not in match with the slim rear. 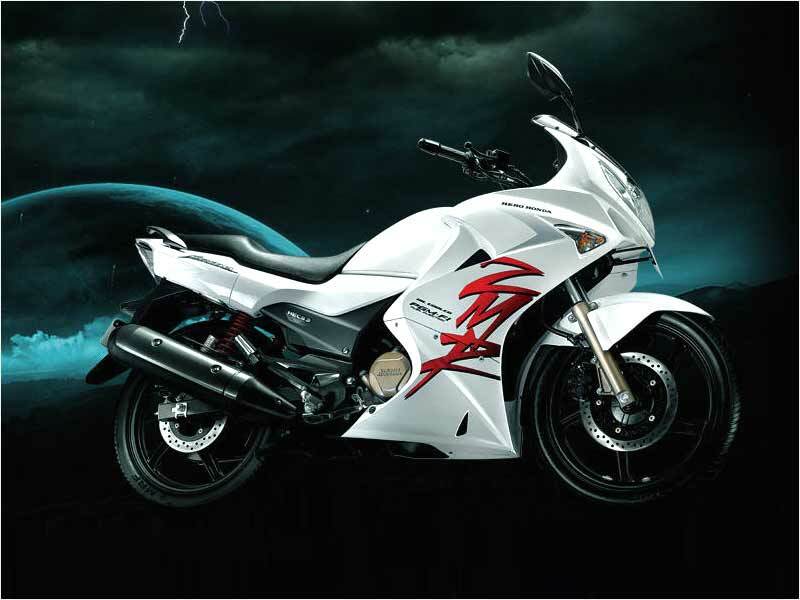 This apart, Karizma ZMR is a bike which can compete against a host of its rivals. New Karizma ZMR is much quicker than the old carburetted version smooth and steady acceleration. As per the claim of Hero Honda it can hit 60kmph from standstill in just 3.7 seconds. Now the fuel efficiency would be maximised because of the fuel injection technology. ZMR offers superior ride quality helped by the sporty telescopic forks at the front and the inverted Gas Reservoir System at the rear. Even with the pillion it offers the ultimate comfort and easily takes on the potholed roads. With the retained ergonomics of old Karizma, the split handle bar lends more comfortable handling. The cowl mounted rear view mirrors is large and shows a clear view. The digital cockpit is certainly a welcome feature which sounds the message of welcome and signing off. The panoramic large display gives the rider everything needed but not in the hot sunshine. Real time mileage indicator, 2 trip meter and digital bar tachometer, digital fuel level indicator, digital clock and digital bar tachometer are the features to analyse data. As one of the most popular among India's average bike owners, Karizma ZMR offers an average road mileage of 42-45 kmpl. 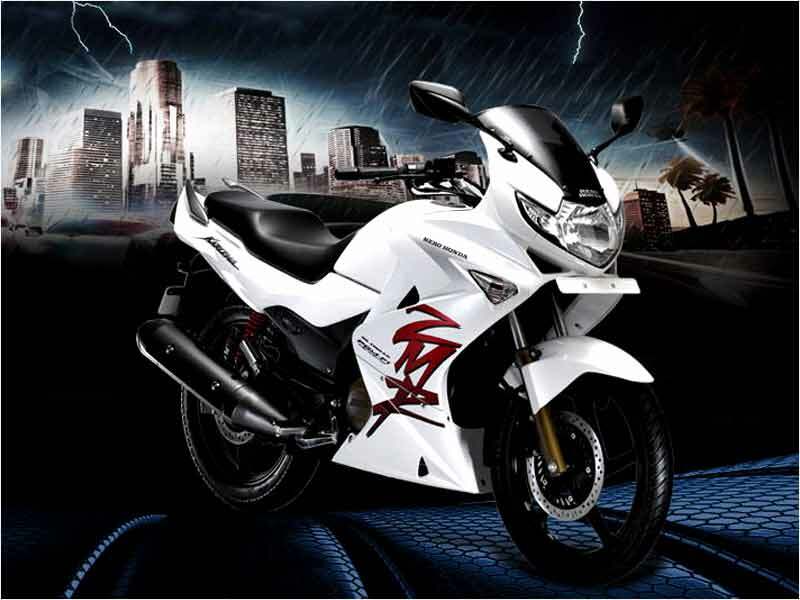 Karizma ZMR is available in five colours � Panther Black, Sports Red, Vibrant Blue, Moon Yellow and Pearl White.